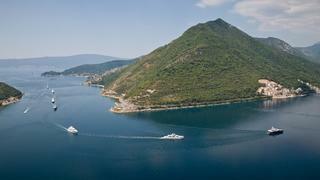 Logica led the fleet of superyachts into the Bay of Kotor in Montenegro. 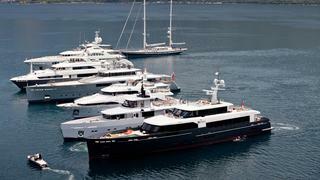 This photo shows the fleet, from front to back, that included Alyssa, Stella Fiera, Exuma, Komokwa, Lady Petra and Infatuation. 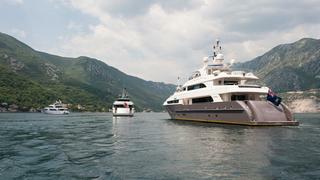 The fleet of luxury yachts entered the bay in the later afternoon for the cruise in company in Montenegro's Bay of Kotor. 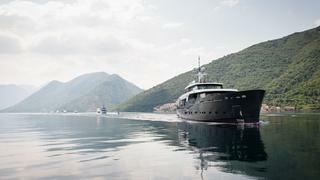 The yachts rounded to the west of the Bay of Kotor, where they were due to line up for a photoshoot in front of the iconic Our Lady of the Rocks. Guests from Aries-Trieste Chamber of Commerce wave to the helicopter as they enjoy the cruise in company in the Bay of Kotor. 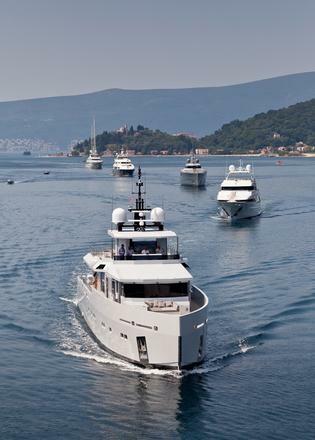 Logica photographed at the head of the fleet as the superyachts head towards the location of the photoshoot. As the yachts start to line up for the photograph, Komokwa is seen on her approach to join the fleet. Riza Tansu was joined on Alyssa by his family and guests during the cruise in company. 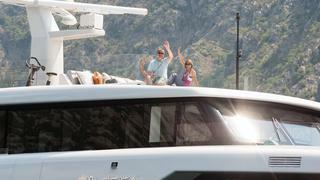 Here he is seen waving at the camera as they wait for the other luxury yachts to catch up with them. One of the guests on Komokwa is pictured waving at the camera as the fleet wait for sailing superyacht Infatuation to join the lineup. 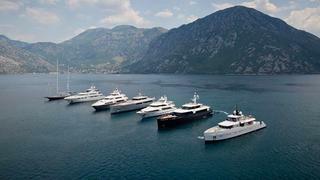 With all the motor yachts in position, Infatuation joins to complete the line up for the photoshoot. 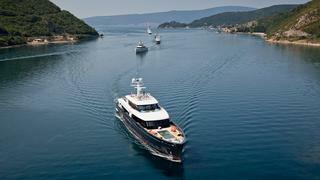 All seven yachts that participated in the cruise in company were photographed from a helicopter in the Bay of Kotor. 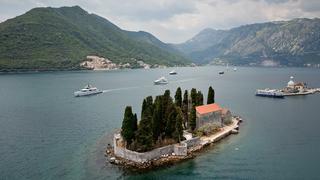 With the photoshoot complete, the yachts cruised past Our Lady of the Rocks in the Bay of Kotor and onwards for lunch in a rustic restaurant accessibly by tender.